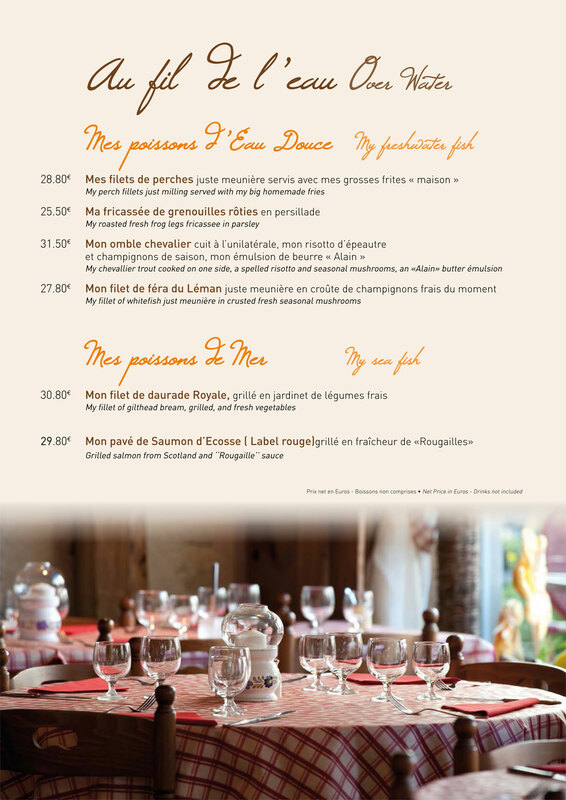 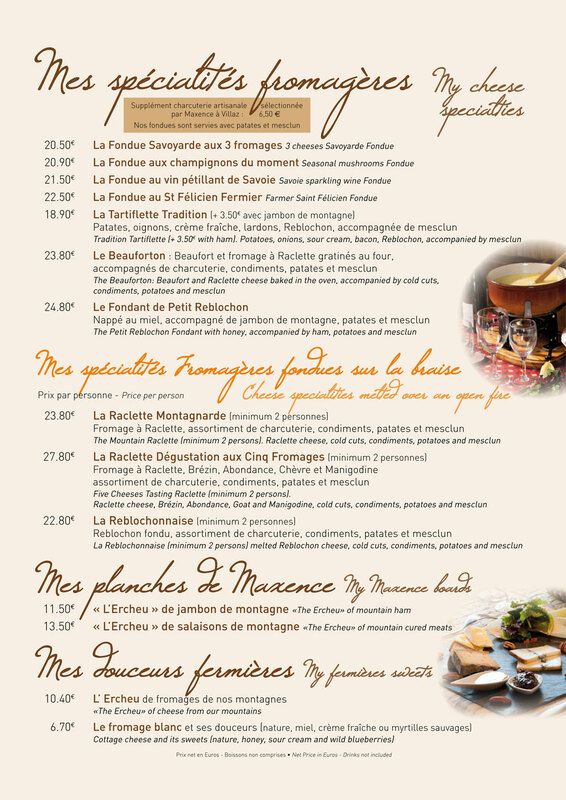 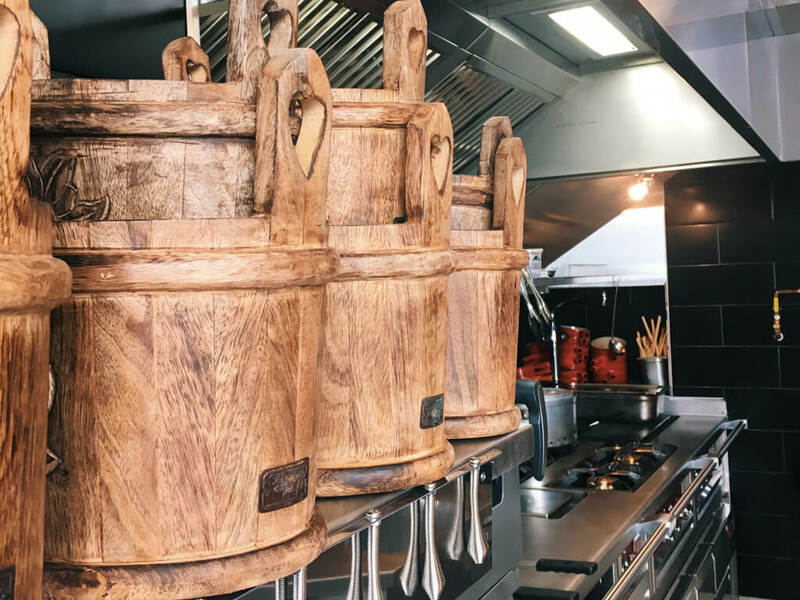 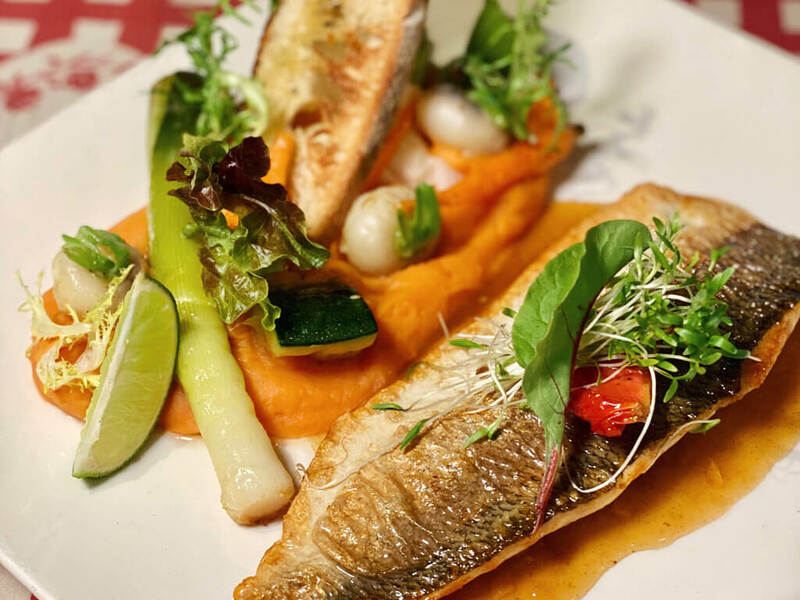 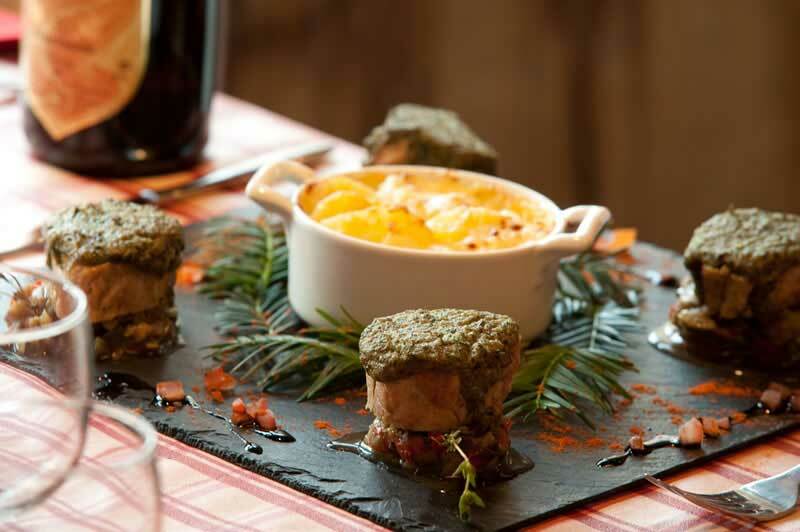 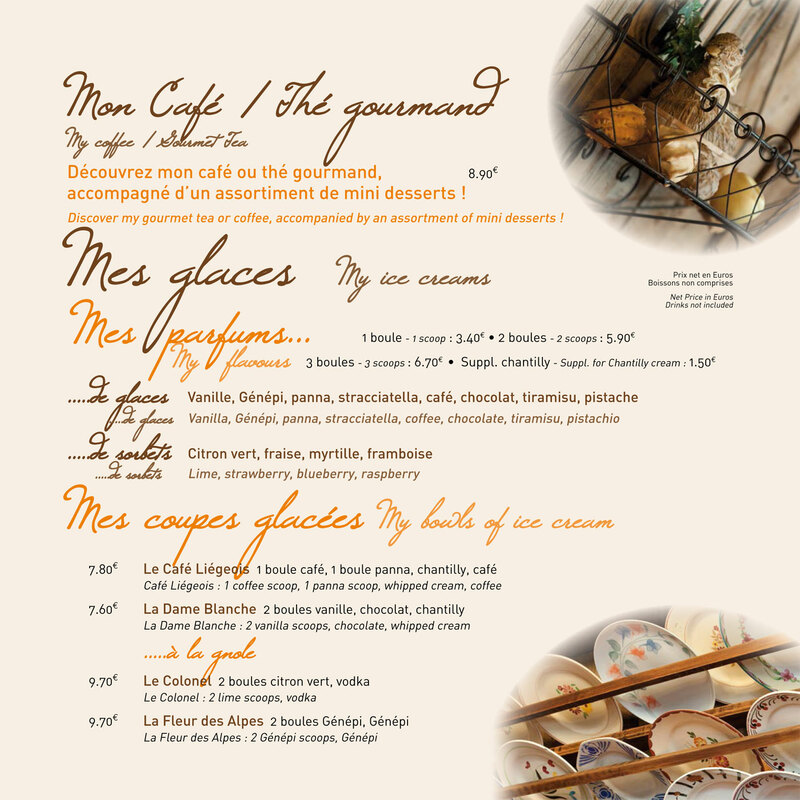 At the gateway to the old town of Annecy, the Chez Mamie Lise restaurant unveils the rich culinary tradition of Haute-Savoie. 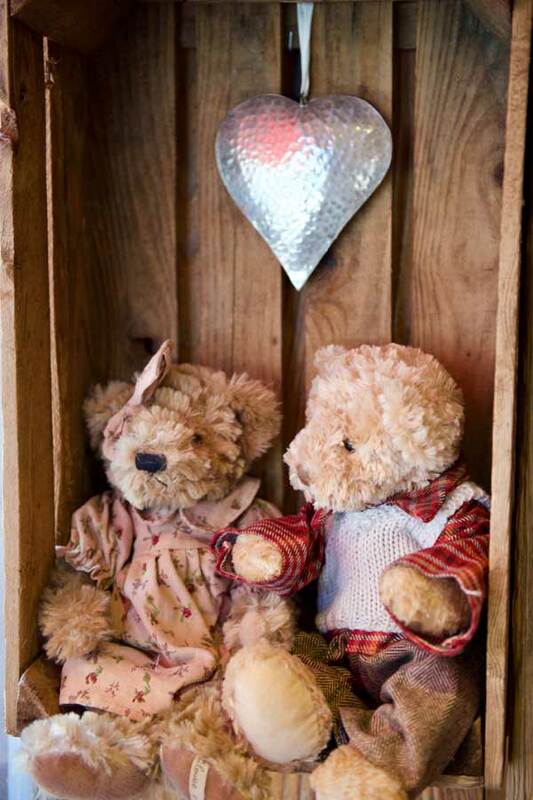 Hello and welcome to our place. 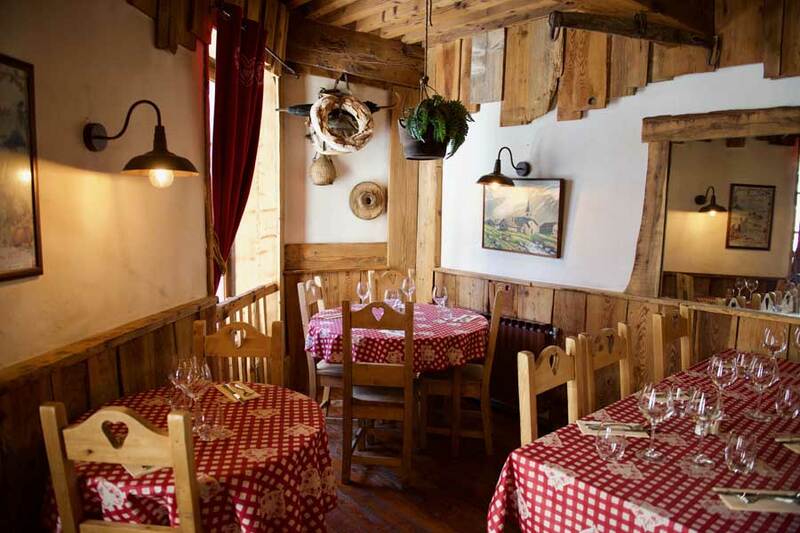 Formerly, "Le Sarto" was the friendly place where the vineyard workers gathered, "La Cosena" the kitchen and "La Galeta" means the attic in Savoyard dialect. 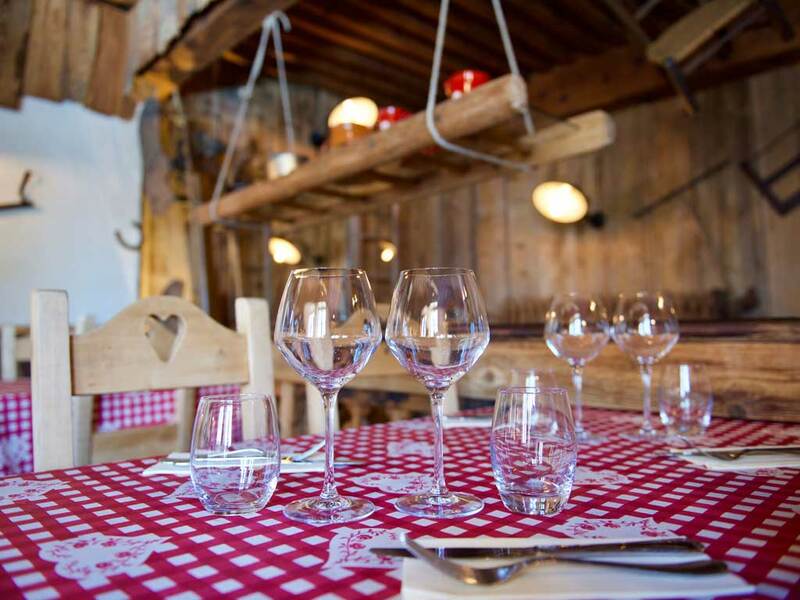 It’s up to you to choose your dining room in a typical Savoyard décor, in order to come and discover my kitchen of today, set in an ambiance from the past. 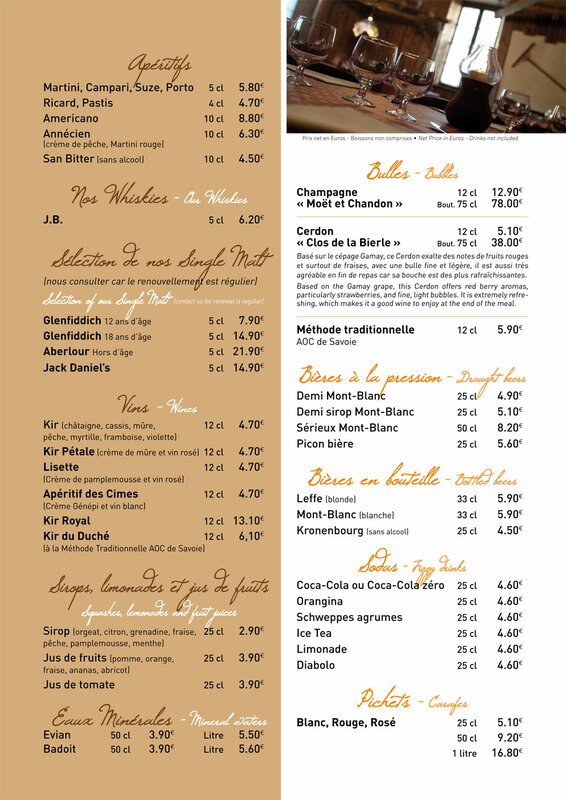 We look forward to seeing you soon with us. 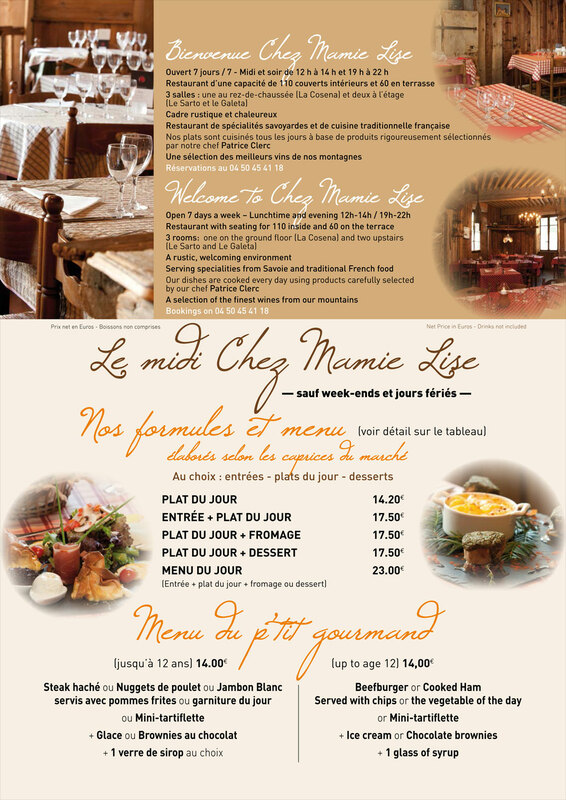 Mamie Lise, it’s a beautiful story that allows the best of tradition to continue while adapting to modern ways. 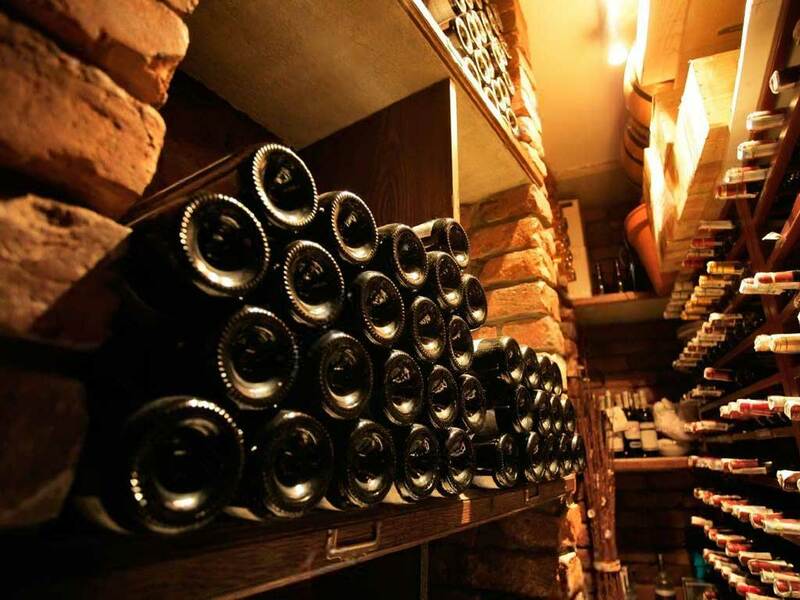 At the Mamie Lise restaurant, the wine lovers can choose between a selection of beautiful red, white and rosé wines and other great wine to accompany their dishes. 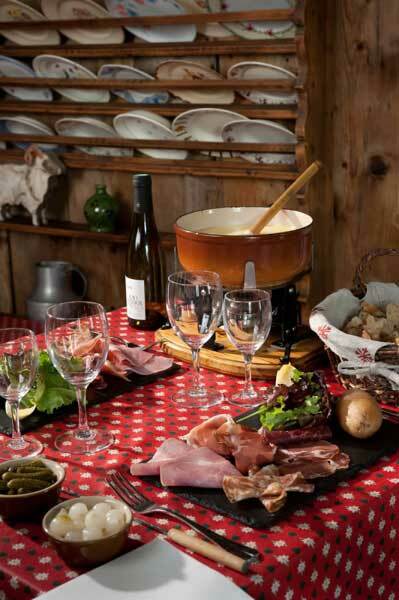 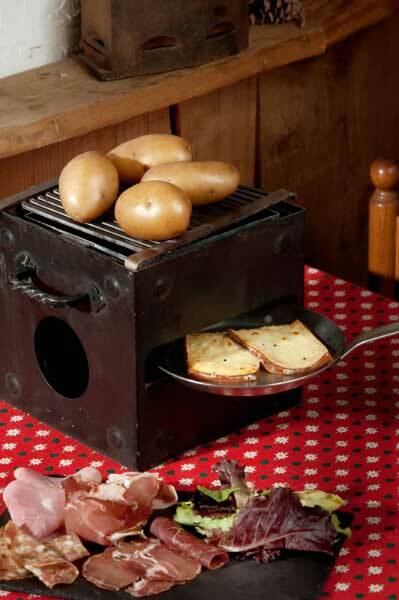 The Savoyard wine is particularly well represented by the red wine, Gamay de Savoie and the white wine Chignon-Bergeron. 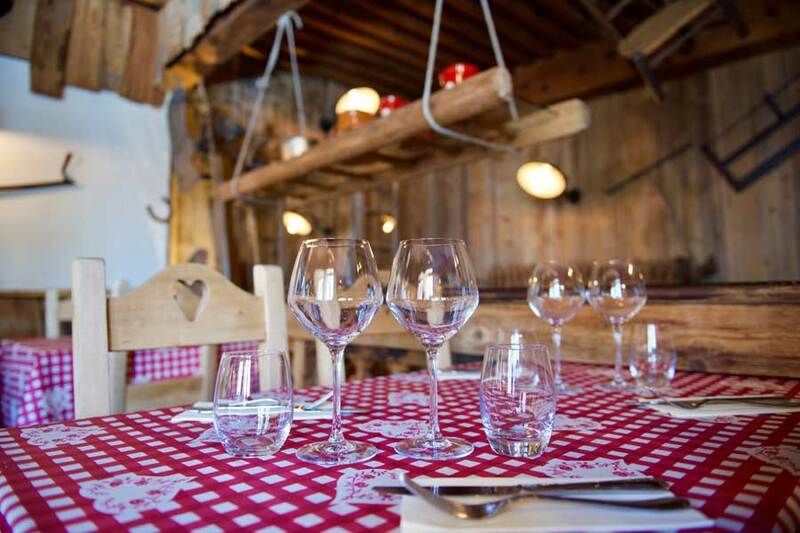 A meticulous selection of the best mountain wines (Savoie, Jura, Bugey, Val d’Aoste, Switzerland), your taste buds will enjoy these true treasures. 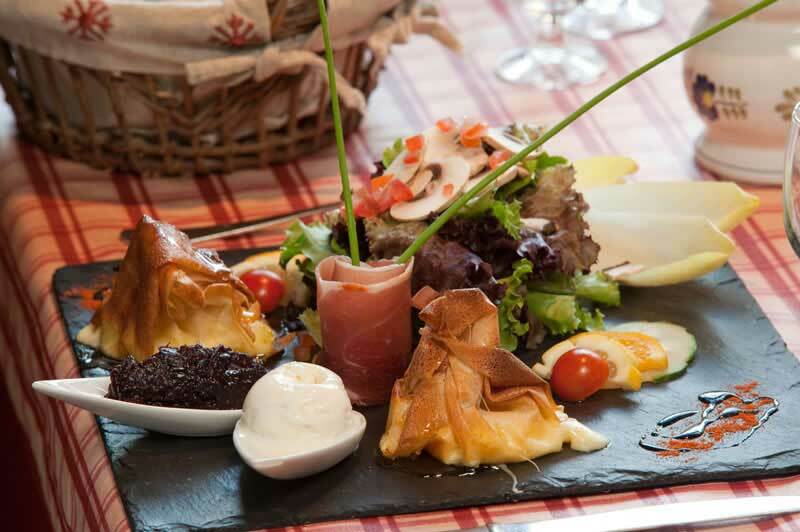 The cuisine pays tribute to the generosity of the terroir through a careful selection of charcuterie, fish and meat. 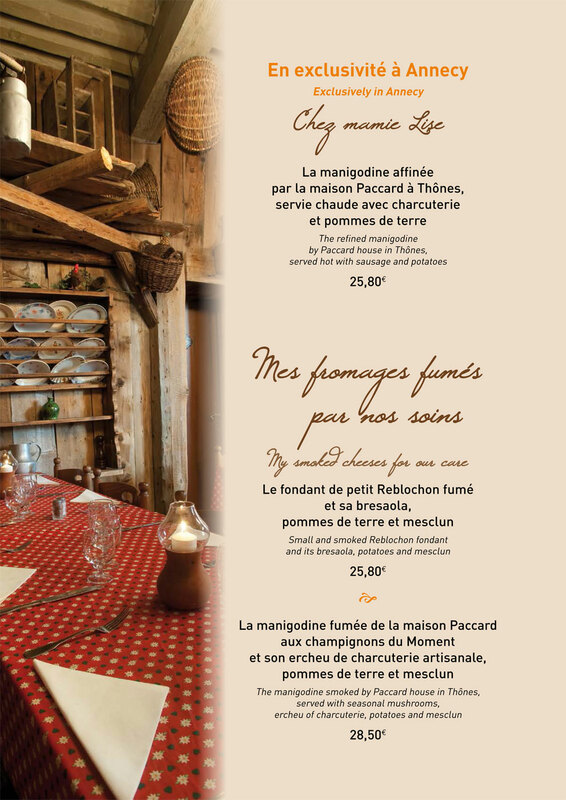 Cheese specialties are particularly in the spotlight: reblochon, manigodine, beaufort, morbier and goat cheese. 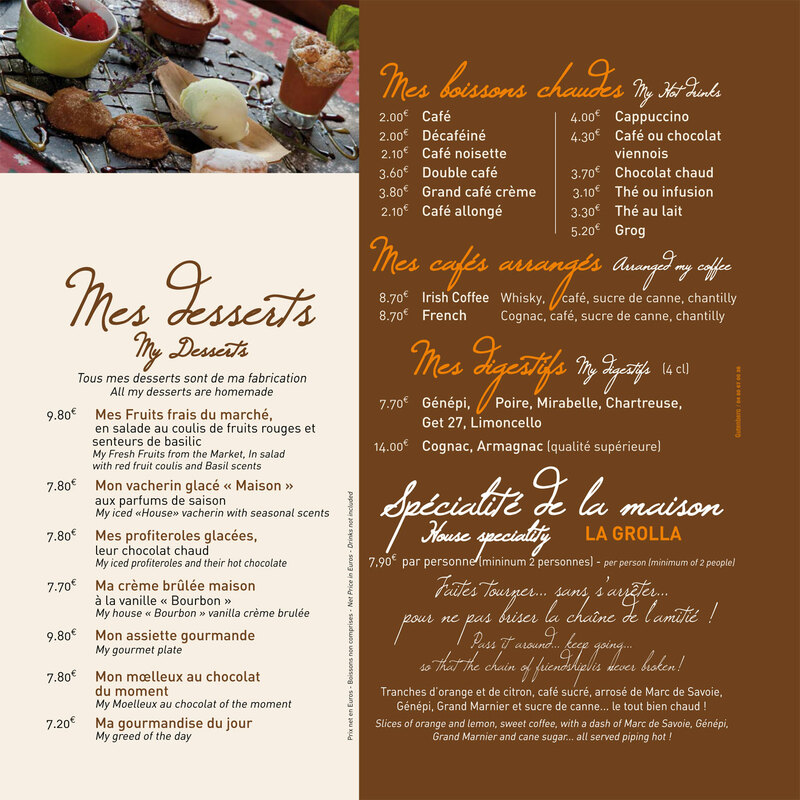 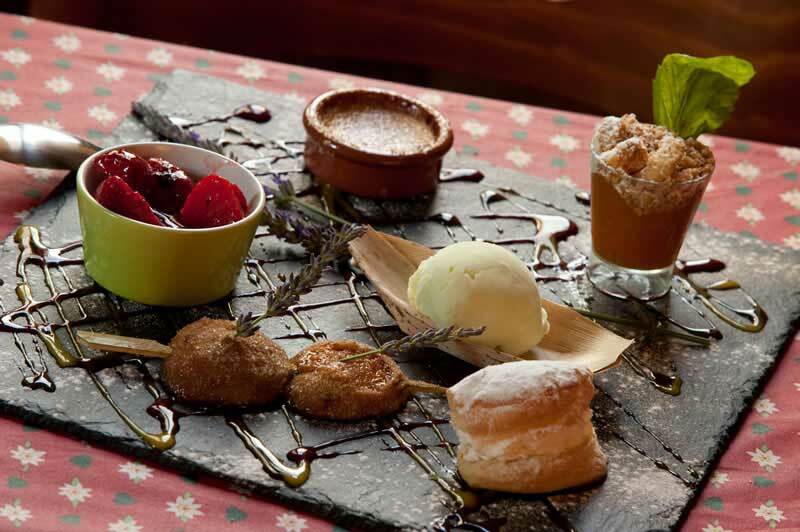 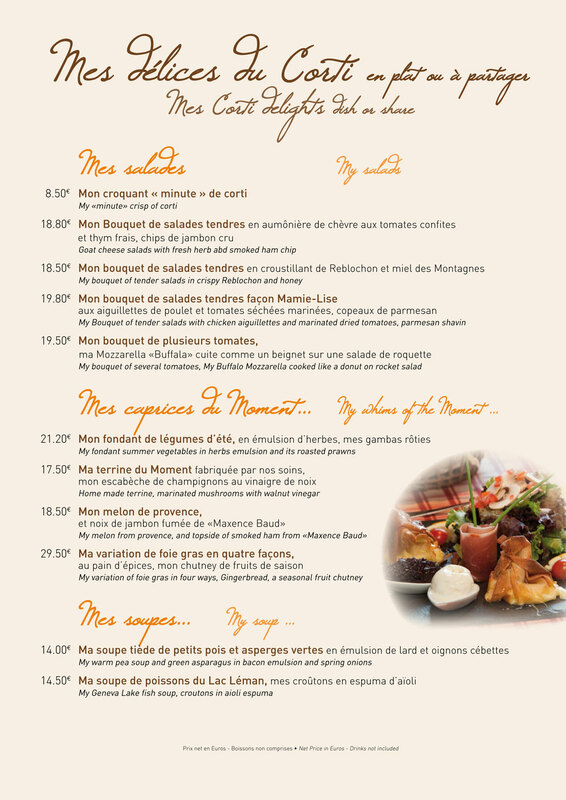 From appetizers to desserts, the conception of the dishes on offer reflects a genuine passion for cooking. 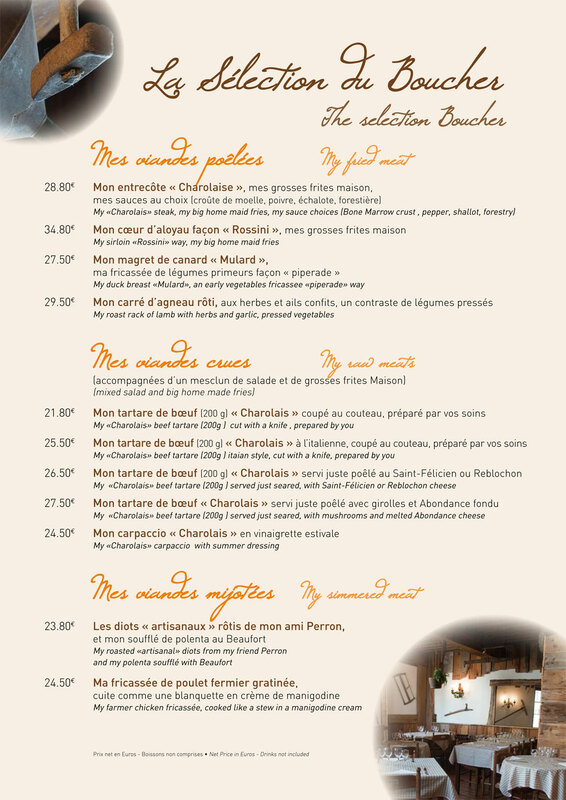 exclaims Patrice Clerc, the restaurant Chef.